Quality monitoring: Does your call center need it? What is quality monitoring, as it relates to a call center? Put simply, quality monitoring refers to the activities of recording, data gathering, and process implementation in a call center. These functions give management visibility of call center, or contact center, activity as well as actionable takeaways for performance improvement. Quality monitoring in a call center can be done in many different ways. 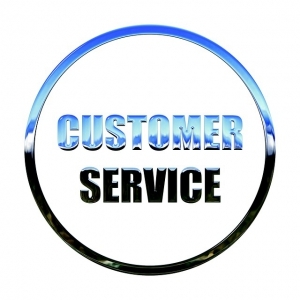 Some companies hire outside staff solely to manage and monitor contact center quality. Other companies use a third party firm or a dedicated software program to monitor their quality. All of these can be effective options, and the best choice for your business depends on the specifics of your call center and your needs. The most obvious feature of quality monitoring is recording or monitoring phone calls, chats, emails, and other customer interactions. This is what most people think of when they hear about quality monitoring for a call center. The monitored or recorded calls can be reviewed by agents or by a software program in order to collect data, evaluate associate performance, and identify customer needs, issues, and frustrations. In many cases, the data and insights collected from the call monitoring is passed on to a senior team to help them manage the contact center. Quality monitoring can also be used to solicit information from customers. For example, customers may be asked to participate in a survey at the end of an interaction. These surveys can provide valuable information about the customer’s perception of the company and their experience with the contact center. Data from call monitoring can be used to provide performance evaluations and training plans for associates. This improves the quality of customer interactions and as a result, customer satisfaction, loyalty, and retention. Associates are also more likely to adhere to company policies and scripts when they are aware that customer contacts are monitored. Companies can also gather valuable business insights by mining the contact center interactions and analyzing the gathered data with a quality monitoring system. These insights can then drive strategic initiatives and improvements that enhance performance and boost bottom line results. If your business could benefit from quality monitoring in the call center, Evaluate Quality may be your solution. The Evaluate Quality software service provides a sophisticated yet easy to use tool that helps you manage and metric your contact center. Because the Evaluate Quality software is fully customizable, it is an affordable solution for almost any business. By using Evaluate Quality, founded by Sage Advantage, you are able to gain all of the features and benefits that you need without paying for any that you don’t. Don’t let your business suffer from a poorly run call center. Contact the expert team at Evaluate Quality today to schedule your no obligation demonstration. By scdwebmaster| 2017-12-03T16:04:25+00:00	October 5th, 2017|Quality Monitoring|Comments Off on Quality monitoring: Does your call center need it?